Buying a new car can be a real waiting game, with buyers looking to get their hands on the latest models finding themselves facing waiting lists of more than six months. Cars like the new Volkswagen Polo, Ford Ka and BMW X1 are proving so popular across Europe that motorists who order one today would be left waiting at least four months before their pride and joy arrived. 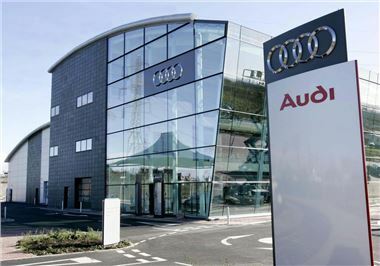 This wait is even longer for other in-demand models, such as the Audi TT Roadster, which has a six month waiting list. If ordered today with the summer in full flow, drivers would have their premium German convertible just in time for the mid-winter blues in January - leaving them facing some chilly open-top motoring. However, there is a way to avoid the queues - by buying pre-registered. While many people may be put off this option as they will not get the exact specification they desire, they will get their new car in a matter of days rather than months. And buying a pre-registered model not only slashes the waiting times, but also the price. Despite the fact these cars are basically new with a few additional miles on the clock, prices are considerably lower than buying brand new. Our research reveals the time and money that can be saved buying a pre-registered model. Take the stylish Audi A5 Cabriolet, introduced in early 2009. Ordered from an Audi dealership today, buyers would be faced with a minimum wait of more than six months before taking delivery. But a quick search reveals a pre-registered model with just a few miles on the clock. Car supermarkets are a great place to look and our research has revealed a 2.0T FSI SE model with just delivery miles in striking Meteor Grey on sale for £27,999 - that's an incredible saving of more than £4300 on a new model. And best of all, buyers can drive it away pretty much straight away. It's not just premium makes either. There's an 11 week waiting time on the Vauxhall Insignia, and both the Ford Fiesta and Ford Focus have a waiting time of 14 weeks. A Hyundai i10 or i20 ordered from the factory will take 10 weeks before arriving. Yet all are common sights as pre-registered cars at car supermarkets. There's plenty of choice too. For example, our research found several of the latest Ford Fiesta models, including a 1.4 TDCI Edge in Moondust Silver, for just £9999 - an amazing saving of more than £4000. But that's not to say that there isn't a downside. Buyers need to be aware of where these cars come from. If they have been pre-registered to a UK dealership or a fleet, they may have to stay registered to that dealer or fleet for six months and you may not get the V5C for a long time. This has insurance implications as well as increasing penalties for traffic and parking regulations you may not be able to respond to quickly because they are sent to a keeper that isn't you. Secondly, ask if the cars are independent imports. If they are, there will certainly be warranty implications and they may not be the latest models in the latest tax brackets.